Hakim Ajmal Khan was born in 1868 to the illustrious Sharif Khani family of Delhi, a family that traces its lineage to court physicians who served the Mughal Emperor Babur, the founder of the Mughal Empire in India. Once qualified, Hakim Ajmal Khan was appointed Chief Physician to the Nawab of Rampur in 1892. Soon he met Syed Ahmed Khan and was further appointed a trustee of the Aligarh College, now known as the Aligarh Muslim University. 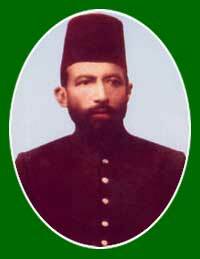 Hakim Ajmal Khan took much interest in the expansion and development of the indigenous system of medicine – Unani. His family of Hakims served as doctors to the British rulers of India. But once the British government changed its stance and sought to derecognize the practice of Indian schools of medicine such as Ayurveda and Unani, this Ajmal Khan gathered fellow physicians on one platform to protest against the British Raj. Subsequently, when the British clamped down on the freedom movement and arrested many Muslim leaders, Hakim Ajmal Khan solicited Mahatma Gandhi’s assistance and together they joined others to start the Khilafat movement. He was elected the President of the Congress in 1921 and joined other Congress leader to condemn the Jallianwala Bagh massacre. He was imprisoned for many months by police authorities. Hakim Ajmal Khan envisaged a place of learning that would be free of government control. He worked towards this aim with the help of the other Muslim luminaries. Together with other Muslim leaders, he started the Jamia Millia Islamia (Islamic National University) in Aligarh in 1920, in response to Mahatma Gandhi’s call for Indians to boycott government institutions. This has now become the prestigious Aligarh Muslim University and Ajmal Khan served as its first Chancellor. Hakim Ajmal Khan also established a facility to manufactured Unani and Ayurvedic medicine and issued a diktat that doctors practicing in the Sharif Manzil could only recommend medicines from the Dawakhana. The Dawakhana is known to have patented 84 magical herbal formulas. Tibbia College has presently located Delhi’s Karol Bagh area. As a mark of respect to this man, Karol Bagh’s most popular part is still called Ajmal Khan Road.